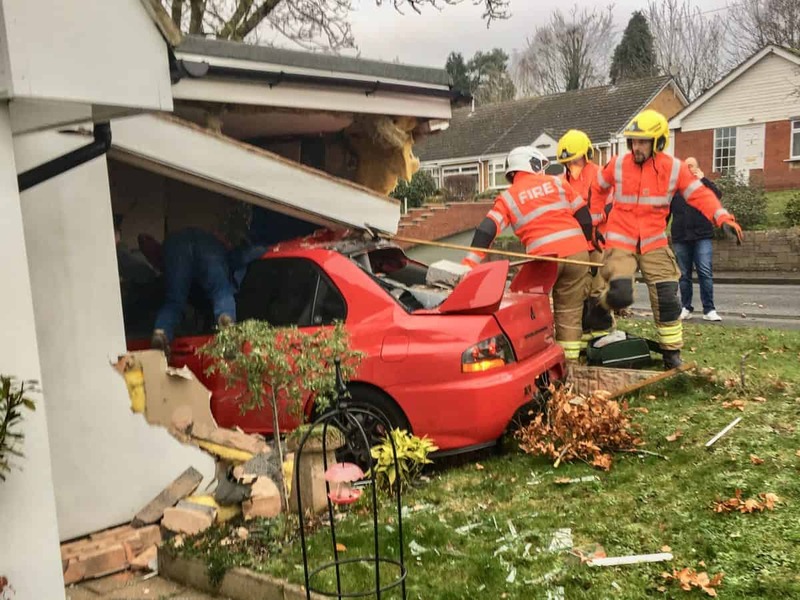 A foster family are lucky to be alive after a Mitsubishi Evo sports car ploughed into their home and reduced a six-year-old boy’s groundfloor bedroom to rubble. 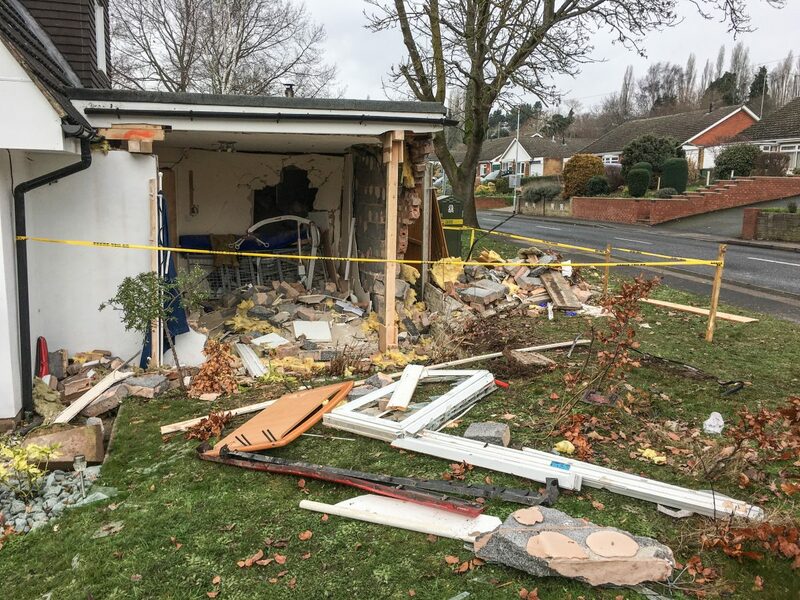 Lee and Jacqui Bryan were watching TV when they heard a “huge bang” and the powerful motor smashed through their new extension. 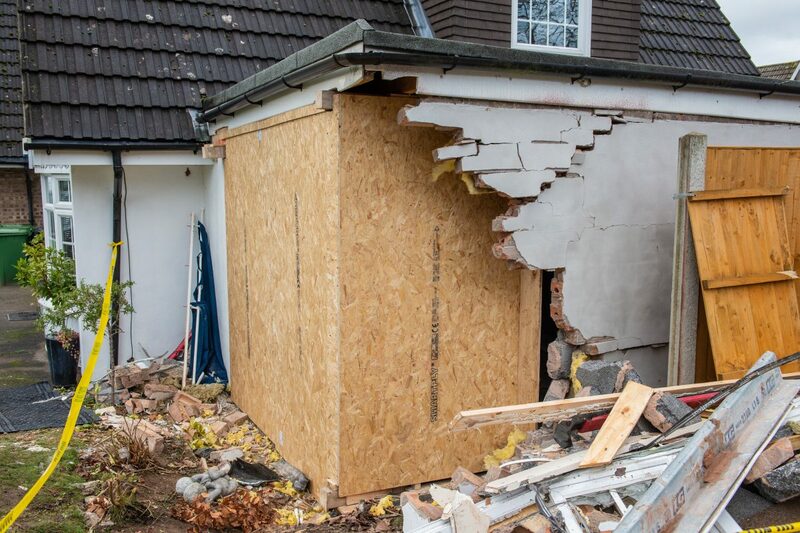 A downstairs bedroom used by the couple’s disabled foster child was wrecked and the bed where the youngster had been napping minutes earlier was demolished. 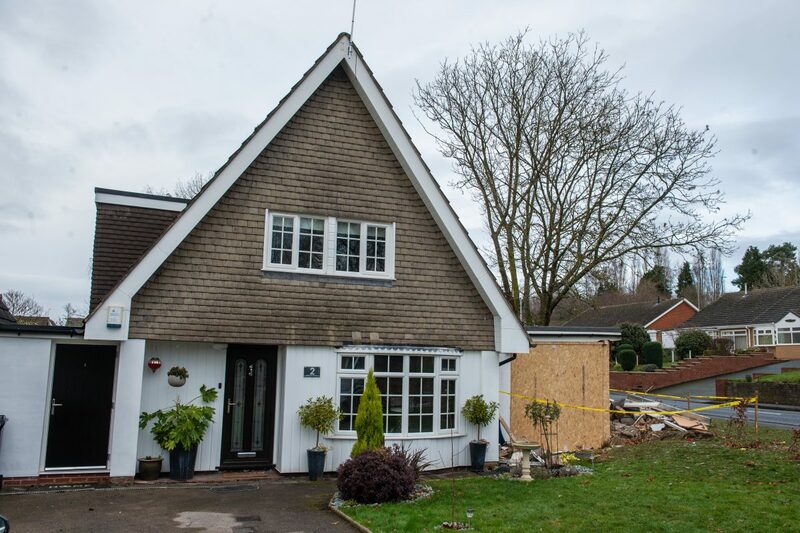 Rescue crews dashed to the family’s home in Ribbesford Drive, Stourport-on-Severn, Worcs., after the crash which happened at 3pm on Saturday (19/1). Lee, 55, said: “I was upstairs at the time. I heard a smash and the whole house shook. “I ran downstairs and opened the door. The room was thick with smoke and there was a red car in the room. I genuinely thought they’d both died. Jacqui, 50, said: The extension is made up of a downstairs bedroom and wetroom for our foster child who is in a wheelchair and it is in constant use. “He naps throughout the day and I’m always in and out. “We’d both been in there just ten minutes before the crash. “I ran outside and saw a crowd of people staring at the house. “I turned round and a red sports car had ploughed into it. 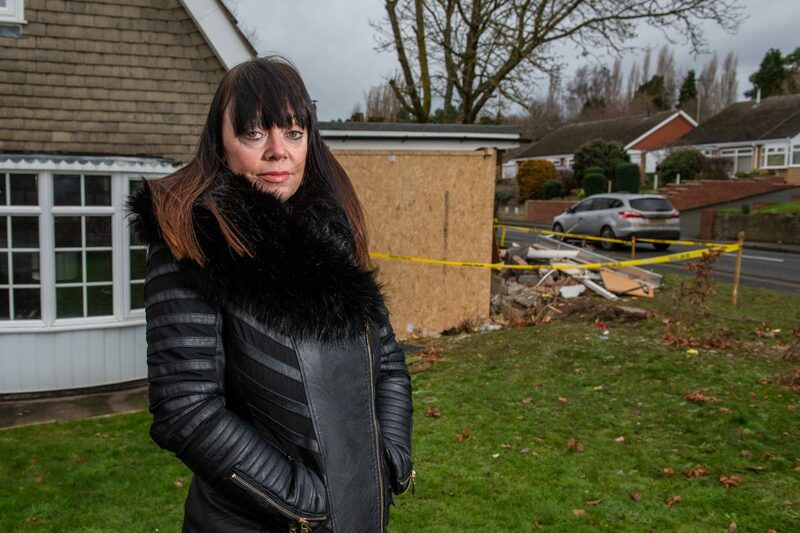 “The car had come off, come through our front garden and gone through the wall and the window. “There were alarms going off everywhere, bricks and rubble and chaos absolutely everywhere. “If I’d been in his room I wouldn’t have survived. “Most of the bedroom was reduced to rubble and his bed is completely mangled from being slammed up against the wall. “It really is a miracle that we weren’t injured. “Part of me just wants to cry. “I can see the little boy’s bed and had he been in it he would have been killed. “I’m really thankful we’re all still alive. West Mercia Police said the driver of the car, a man in his 20s, sustained serious injuries and was taken to hospital along with a female passenger, also in her 20s.